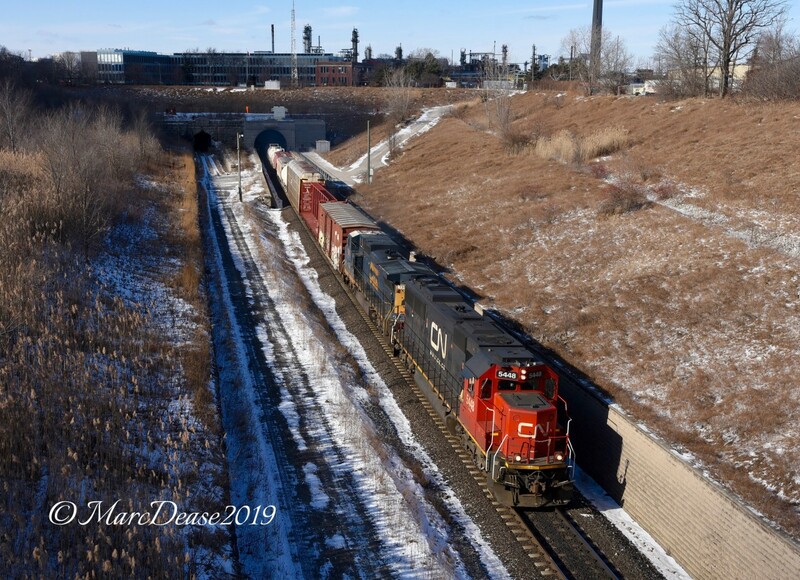 Railpictures.ca - Marc Dease Photo: Train 382 enters Sarnia, ON., from Port Huron, MI., via the Paul M. Tellier St. Clair River Tunnel with CN 5448 leading and GECX 7315 trailing. | Railpictures.ca – Canadian Railway Photography – photographie ferroviaire Canadienne. Caption: Train 382 enters Sarnia, ON., from Port Huron, MI., via the Paul M. Tellier St. Clair River Tunnel with CN 5448 leading and GECX 7315 trailing.